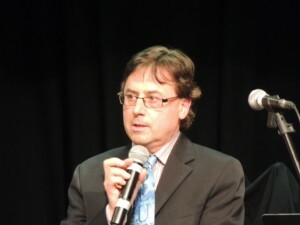 Friday evening at the Variety Night Show we had the pleasure to honour Mr Louis Lefaive, EDHS Music Teacher for his acclaimed contributions to the festival. Delighted to announce the Maple Syrup Committee has created an annual EDHS graduation bursary in his name. Thank you for twenty tremendous years. Do you know a youth who makes a noteworthy contribution to our community? Nominate them today. Deadline for the 2016 Youth Awards has been extended to April 22. More info under our event info. Check it out!!! Pick up a commemorative numbered button at the festival for an opportunity to win one of the great prizes being drawn throughout the day. * Limited quantity, first come first serve. See you soon! All Welcome, join us! 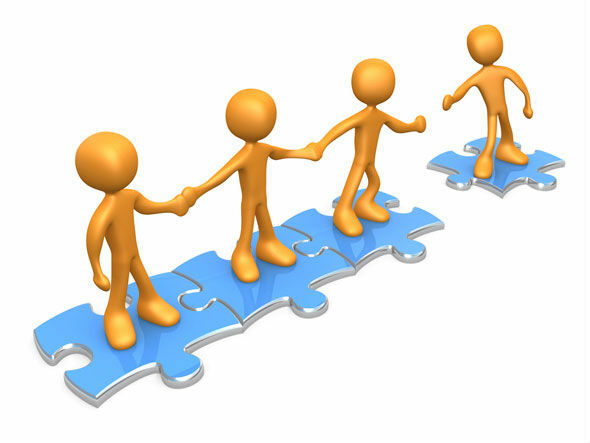 Planning meetings takes place on the 3rd tuesday of every month at the Elmvale Masonic Lodge commencing Tuesday October 21, 2014. Interested in becoming a member of the board? 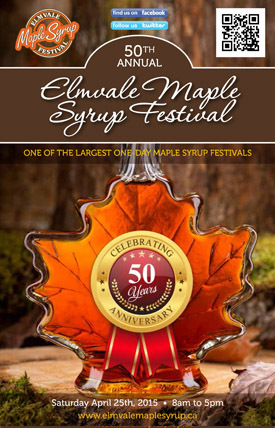 email us at info@emsf.ca See you there! “Did you know, EMSF now falls on the last Saturday of April annually? That’s easier to remember, right? Planning is already underway for next year, 50th Annual. Interested in joining the team? For more information, including the opportunity to become a member of the 2015-2016 Board of Directors, contact us at info@emsf.ca. New Faces Welcome!! With the Awards banquet behind us the 2014’s festival has now come to a close. Sincere thanks to the Our Lady of Lourdes Catholic Women’s League for graciously hosting and serving such a delicious meal last night, much appreciated. It never ceases to amaze me, the power of community partnerships and EMSF’s positive contributions. It’s what strong communities are built on, proud to be part of it. Thanks to all for your continued support. The 49th annual is now behind us. Despite the weather we persevered, and greeted our guests with enthusiasm and friendly hometown hospitality. Before turning our attention to next year, may we first extend our appreciation to the community and all our volunteer helpers for their combined efforts in putting this day together. Along with sincere thanks to our Sponsors and Partners whose financial support contributes to the success of this community fundraising event especially Elmvale Foodland for their generous donation to our Pancake House. 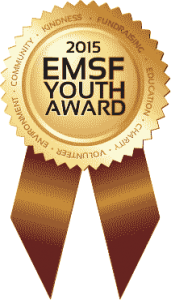 Congratulations Rowan K, Nicole M, Jennifer O, Tavish R, and Laura U for receiving the 2014 EMSF Youth Awards in recognition for their dedication to others, and outstanding contributions to our community. 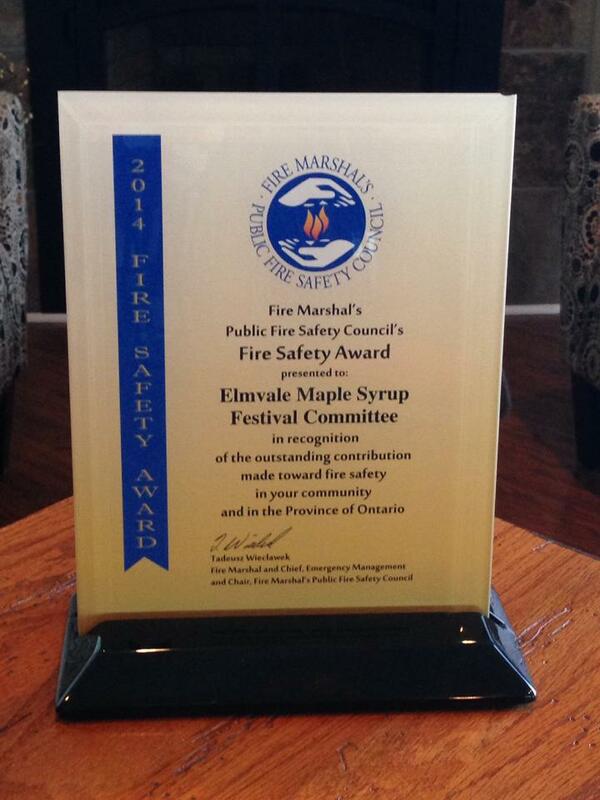 Award presentation was held April 25 at EDHS during the Maple Syrup Festival kick off concert & variety night. Presented by Mayor Linda Collins, Alyssa Polan (2013 Festival Ambassador) & myself, Jerry Rebidoux Festival President. 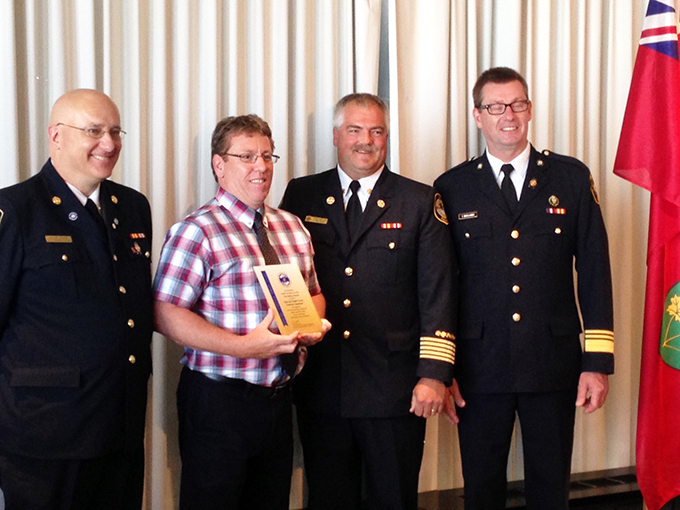 Pleased to support “Prizes for Plans” initiative presented by the Springwater Fire Department. 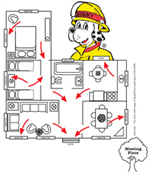 Visit their prevention booth at the festival, show them a copy of your home “Escape Plan” and recieve a prize. Plus supplies will be on hand to help, if you haven’t already created one. See you April 26th. Highlighting a few changes that are bound to create plenty of buzz. 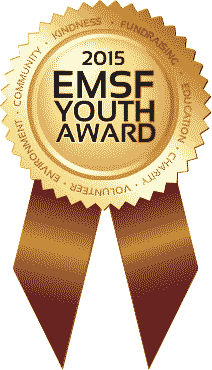 We are pleased to introduce the New EMSF Youth Awards, replacing the former Youth Ambassadors Contest. For more information scroll to “Youth Awards” under the Events Tab. Happy nominating folks! Only 43 days until the 49th Annual Festival. Thanks to the dedication and efforts of the 2014 Organizing Committee planning is well underway. You may have noticed our website has a fresh new look. Despite still being under construction, festival information is easier to access & up to date to better serve your browsing needs. In the meantime as we complete the finishing touches, we appreciate your patience!